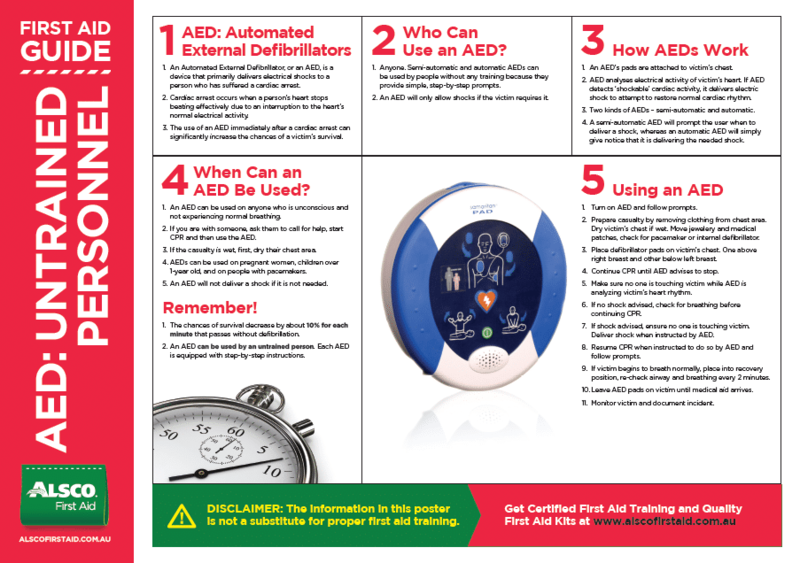 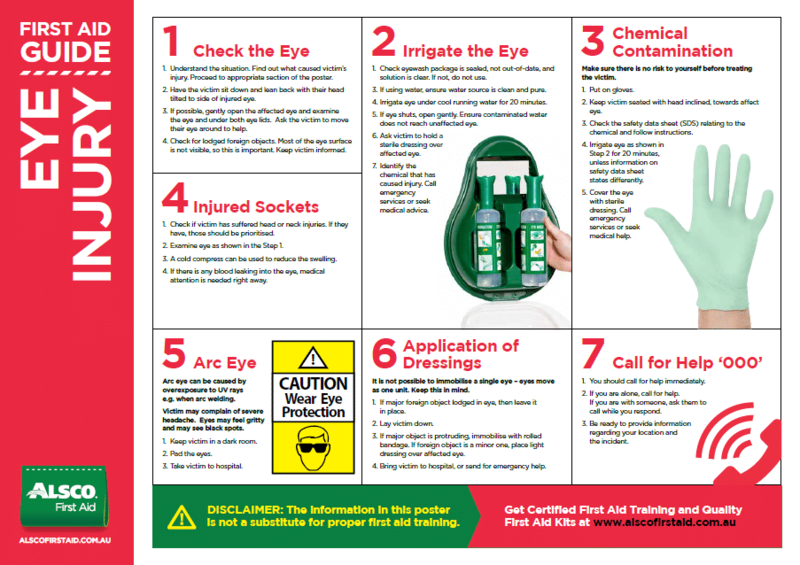 To raise First Aid awareness in the workplace, we have created a range of visual guide posters suitable for a range of locations. 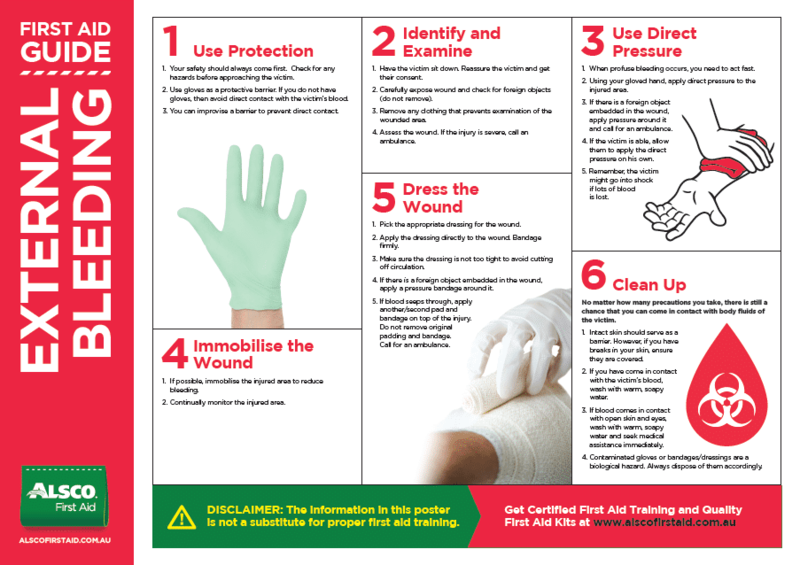 Feel free to download these handy and informative first aid visual guide posters that you can post in your workplace. 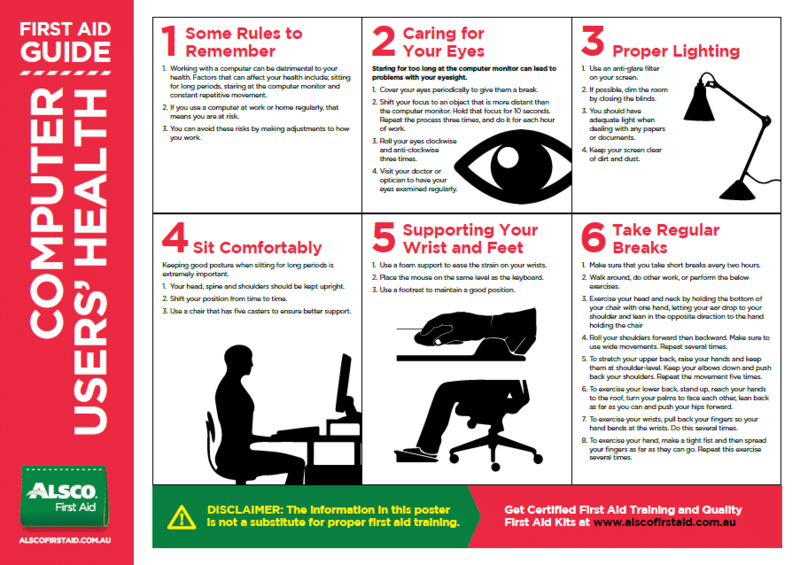 Remember – make sure everyone in your workplace is informed about your First Aid facilities. 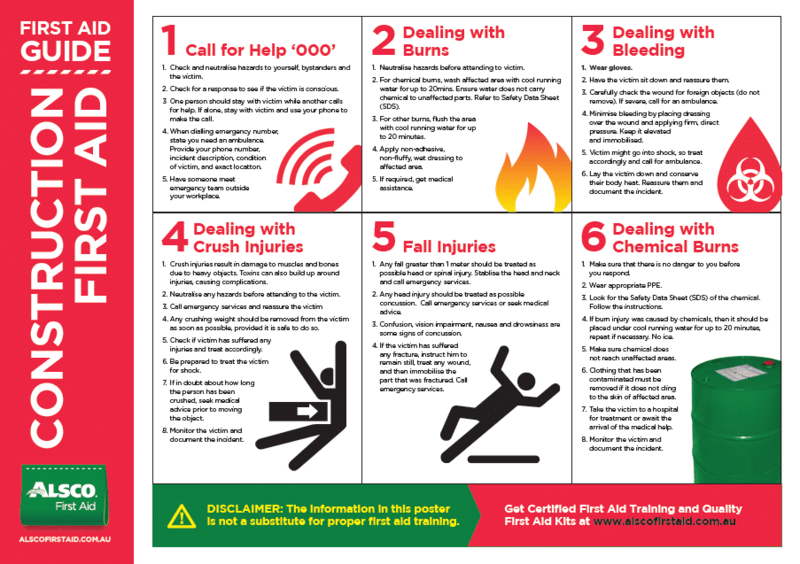 An instructional guide to workplace first aid. 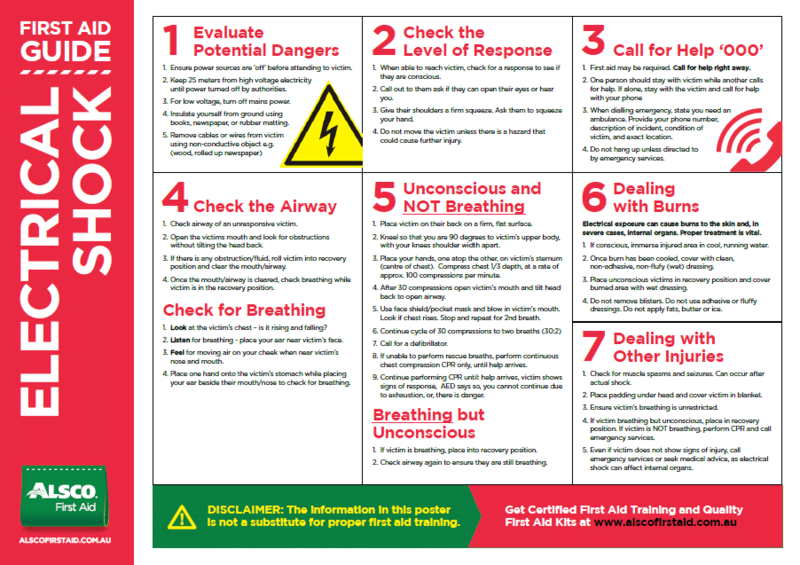 Download and display as a reminder. 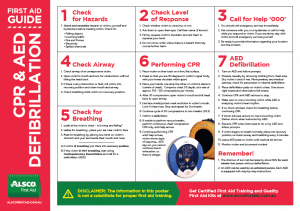 Make sure someone knows how to perform a CPR at your workplace. 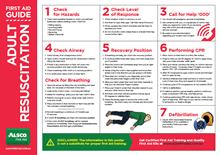 7 important steps when performing a life-saving CPR. Best posted in your office clinic. 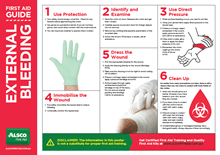 6 steps to deal with external bleeding. 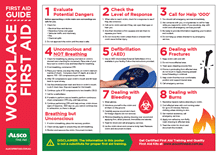 Download and print this free poster today. 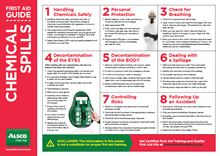 8 steps to follow on how to handle chemical spills. 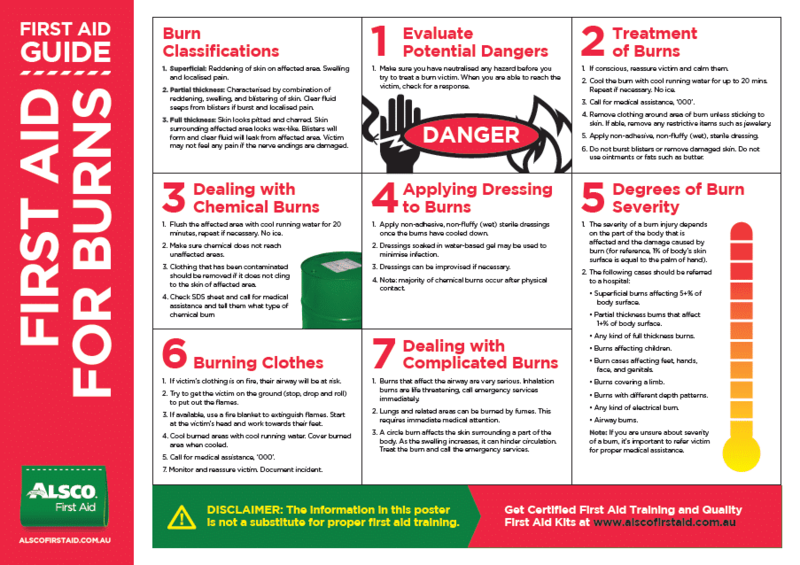 Print and use this informative poster. 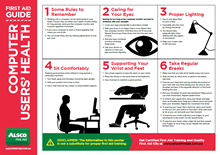 6 rules to ensure better health while working in front of the computer. 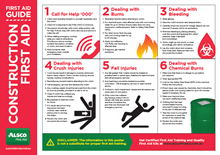 Visual guide about the 5 most common construction injuries and how to deal with them. 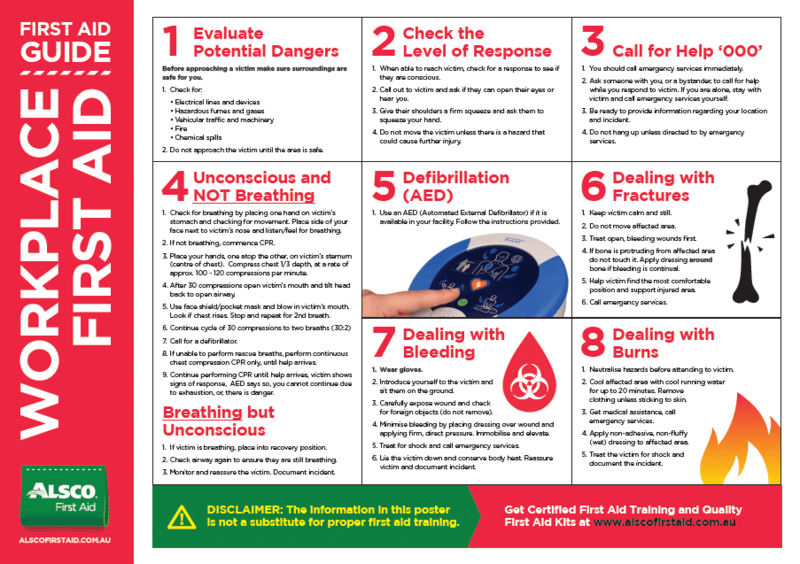 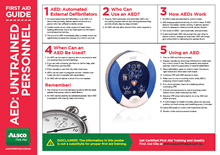 7 first aid guide on how to attend to electrical shock victims. 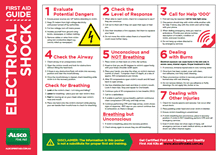 Use this poster to raise awareness. 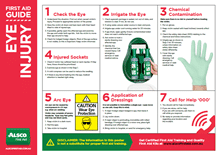 7 steps to respond to eye injury emergencies. 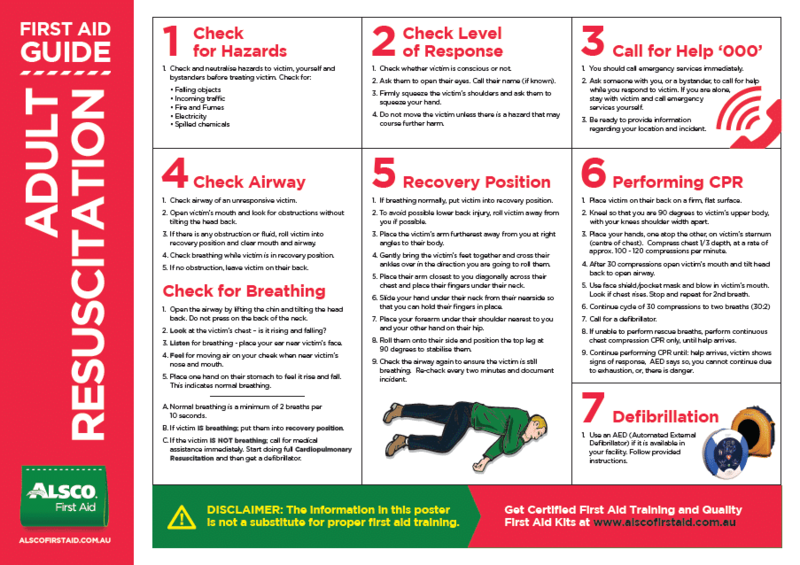 Put this up to serve as a reminder. 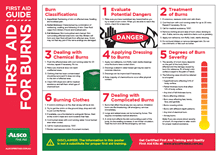 Call 1300 077 391 for a quote today. 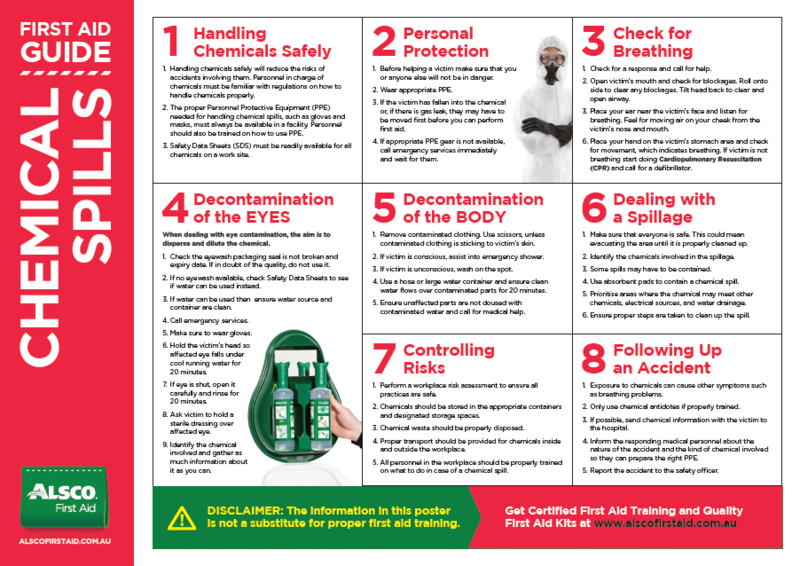 Ask about our obligation-free First Aid audit and get OH&S compliant.